WE COULDN'T RESIST...ANOTHER CHARMING EPISTLE FROM EVERYONE'S FAVOURITE CAD- ER, GENTLEMAN, GEORGE WICKHAM. Christmas has passed and the coffers are empty - well, not all coffers, but some. My own are merrily depleted and so they should be, for what is Christmas for a jolly fellow such as I if not a time to spoil one’s self and one’s friends? Last time I paused to put pen to paper, it was on the subject that is close to my heart indeed - the gold militia! Today we manage to combine the military with another topic on which I am rumoured to be an expert - ladies of a certain repute! Mary Anne Clarke was one such lady. She began her days in 1776 in a rather gloomy sort of London backstreet but she didn’t stay there for long. She turned out to be rather talented in certain arts, the sort of arts that can fill a courtesan’s purse ten times over and, by 1803, she was mistress to a prince. Even by my standards, that’s quite a career progression! Mary Anne’s lover was Prince Frederick, Duke of York and Albany, son of our marvellous King George III and the splendid Queen Charlotte. York and I shared a liking of the finer things in life, and we have both always had a weakness for a pretty face. Like me, York was also a military man, though he had risen rather higher than the militia! He was commander-in-chief of the army, no less, and he was the man whose signature could always be found at the bottom of the promotion lists. Now, there is no wrong in a gentleman securing promotion through a payment. Quite the done thing, you see, though my good friend Mr Darcy wasn’t willing to part with too much coin on my own behalf. Indeed, he might have brought me a majority had he wished but let us not dwell on the tightness of another man’s pursestrings. You shall not find me complaining about that fine gentleman, and I was more than delighted to be made an ensign. Truly I was, for I am a most grateful sort of fellow. I have always been a hardworking gent but those of us who had the money and a mind to climb the ladder didn’t need to toil but could choose instead to purchase a commission. They simply paid the army’s asking price and in return they received a higher rank. The duke signed off the lists and all was as it should be. Legal, above board, honourable. There was another route to promotion, though. Not at all legal, and far from honourable; positively scandalous, in fact. Should you be a favourite of Mrs Mary Anne Clarke, you could obtain a little discount on the official price of promotion. For a small consideration, Mary Anne added the names of her friends to the lists and the duke signed them off without checking for discrepancies. Because Mary Anne often wrote the lists out for her lover, he had no way of knowing who should be there and whom she had added afterwards. All of this came to light when a rather rum member of parliament named Colonel Gwyllym Lloyd Wardle was visiting Mary Anne, no doubt to innocently discuss literature or the like, and one of the Duke of York’s aides-de-camp arrived. Fearing discovery, Wardle dived for cover beneath the sofa - we’ve all been there - and listened as the aide and Mary Anne discussed her business selling commissions. The discounts were considerable. Wardle instigated a high-level inquiry in the House of Commons and the marvellous Mary Anne was the star witness. She sallied forth into the witness stand in 1809, dazzling in the latest fashions. One shall not soon forget catching a glimpse of her in town in her blue silk and lace pelisse, her lilac bonnet just-so, the swan down muff on her arm clear proof that she had long since left the backstreets of London behind. Mary Anne was self-possessed in a manner that cannot but remind one of the fragrant Mrs Wickham, confident and witty and by God, something to behold! She told the House that the Duke of York was not an innocent dupe, but had been aware of the discount commission sales and had taken his cut. When asked why she had done it she was quite honest and admitted it was for money. I believe I can certainly sympathise with that! In a letter to the House, the duke denied it all. He was a wronged man, he cried, a man who had loved and trusted too much and had fallen victim to a scheming woman. With witnesses supporting Mary Anne’s claims that the duke was in on the scheme matched by those who said he was nothing more than a wronged dupe, the Duke of York’s honour rested on whichever side was believed. Perhaps the duke didn’t fancy his chances - every gambling man knows too well that moment when you play or stick - but he managed to stop the inquiry in its tracks. The price was his resignation, and York gave up the role of commander-in-chief, which signalled an end to the proceedings. Ultimately the division acquitted the duke of accepting bribes by a margin of 278 to 196, but it was too late to stop his humiliation. His reputation and integrity were in tatters and this still wasn’t an end to the matter. Mary Anne did rather well out of the proceedings, securing herself £10,000 and an annuity of £400 from the government in return for her guarantee that she would publish her memoirs. Wardle was, for a short time, a hero of the people. Yet as all of us popular fellows know, one is never feted for long and Wardle fell from grace so rapidly that it makes a gent’s eyes water! Wardle, it transpired, was not so innocent as he seemed. In fact, he had offered to fully furnish Mary Anne’s house in return for her agreeing to testify against the duke. 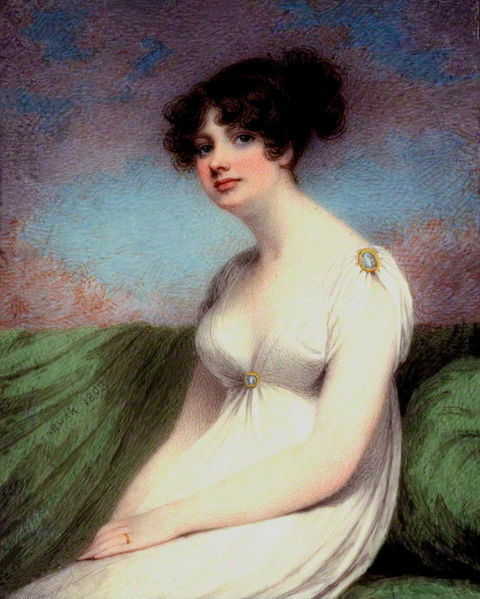 Not only that, but Mary Anne later claimed that she had been encouraged in her actions by York’s brother, Prince Edward, Duke of Kent and Strathearn. Kent, it seemed, was rather envious of York, and fancied bringing him down. A sad state of affairs, but jealousy can be a brutal mistress. We popular fellows have all experienced similar, sadly, sometimes from brothers, sometimes from friends who are so close that one might call them brother. Of course, I would not be so indelicate as to discuss such matters. I would certainly not name names! Wardle left England to escape his creditors and in 1811 the Duke of York once again became commander-in-chief. The marvellous Mary Anne, meanwhile, ended up in debtor’s prison for a time before she gadded off to France. Here she lived to a grand old age, wealthy, happy and naughty to the end. Rumours abound in some circles that she and I are acquaintances but as you know, I am nothing if not a gentleman. And a gentleman never tells. The Lancaster Gazette and General Advertiser, for Lancashire, Westmorland, &c. (Lancaster, England), Saturday, February 04, 1809; Issue 399.